Lush Fab Glam Inspired Lifestyle For The Modern Woman: ﻿Daytime Glam vs. Evening Glam Makeup Ideas. ﻿Daytime Glam vs. Evening Glam Makeup Ideas. Our personal style is not the only thing that's undergone a fun and colorful transformation for summer, in fact we've been trying as many fabulous beauty looks as possible. And we've rounded up our favorites to share with you. 1. Golden Eye: For a radiant and summer glow look use a blend of medium gold eyeshadow on your upper lids and a lighter shimmer eyeshadow in your crease. Use a dark brown eye liner to complement the gold tones. Finish of your look with a berry-pink lip gloss. 2. Pretty in pink: If you haven't tried this beauty look then it's a definite must and the perfect look for a fresh faced but elegant event like a summer wedding. 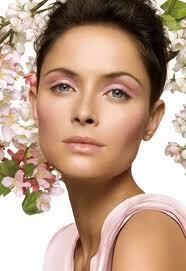 Choose light or pale colors of pink for your eyeshadow, blush and lips and only line your upper eyelids. Finish up by highlighting forehead to chin and cheek to cheek. 3. Killer Lashes: This beauty look is all about the lashes and creating a subtle but glamorous look. It's especially suited to the woman who loves lighter makeup and is only a step up from the natural/no makeup look with a beige/creamy white eye shadow, natural pink lips and exaggerated lashes. Fab Tip: we recommend using the baby powder beauty trick to naturally lengthen your eyelashes. 4. Bronze Smokey-Eye: Try a smokey-eye look in a toned down but just as gorgeous dark brown or bronze eyeshadow on your upper lid. 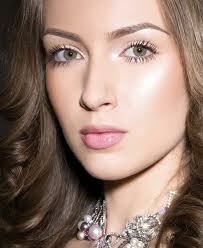 Line your eyes with black eyeliner and complete your look with a bronzer blush and a more neutral shade on your lips. Fab Tip: this look is perfect for the fall season. 5. A Luminous Smokey-Eye: This evening glam beauty look is a must try! Add a classy touch to your grey smokey-eye makeup by applying and highlighting the inner crease of your eyelids with a light gold eyeshadow. Are you a daytime glam or evening glam 'beautista' and which makeup look will you try? Share with us by leaving a comment below.